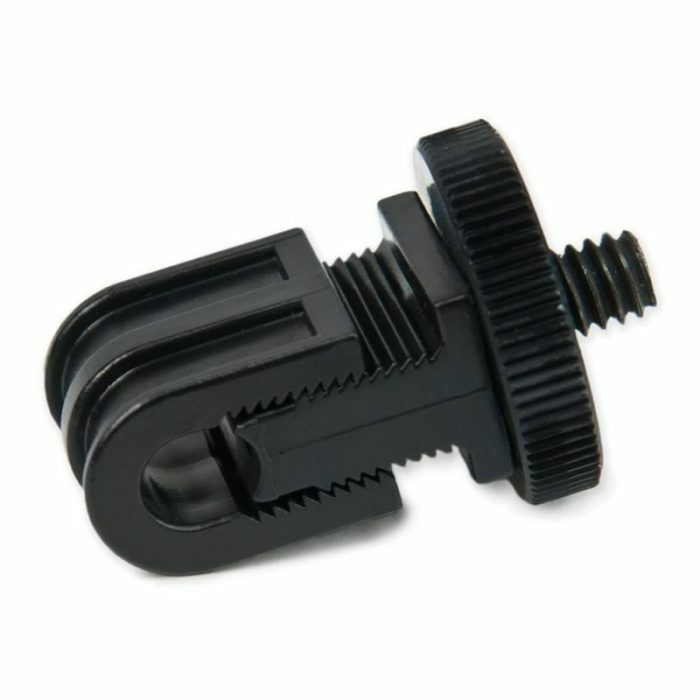 The Rock Solid Pony “A” Spring Clamp 1″ in non-reflective black with coated handle and tip features spring-operated jaws that hold a variety of material efficiently and securely. 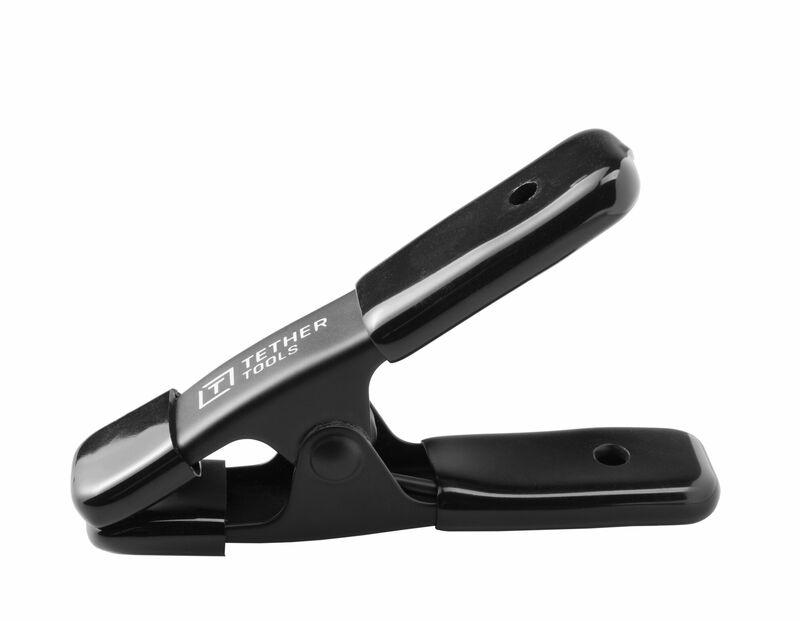 The TetherTools RSPC1-BLK Rock Solid Pony “A” Clamp 1 Black with coated handle and tip features spring-operated jaws that hold a variety of material efficiently and securely. Ideal photography and video uses include securing backdrops, bounce cards, shot lists, scripts and reflectors or just about anything where an extra set of hands is helpful. The clamp is designed for pressure clamping and when speedy application and removal are important. 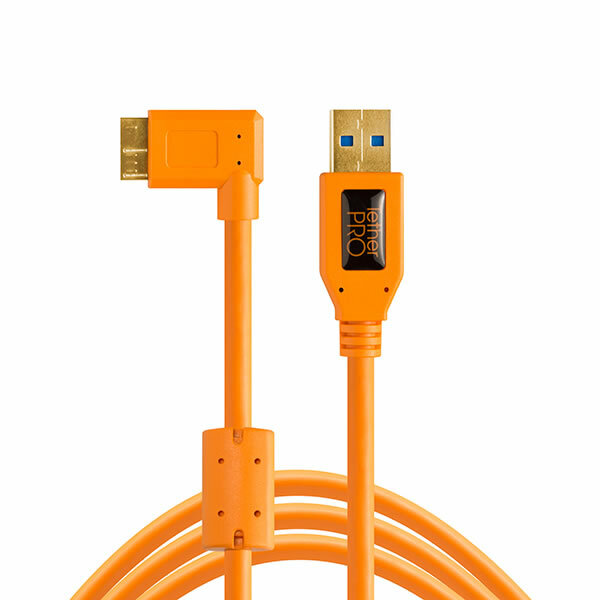 The handles and tips are polyvinyl-coated for comfort and protection. The “A” Clamp is available in 1″ or 2″ clamp jaw opening width. Made in the USA. 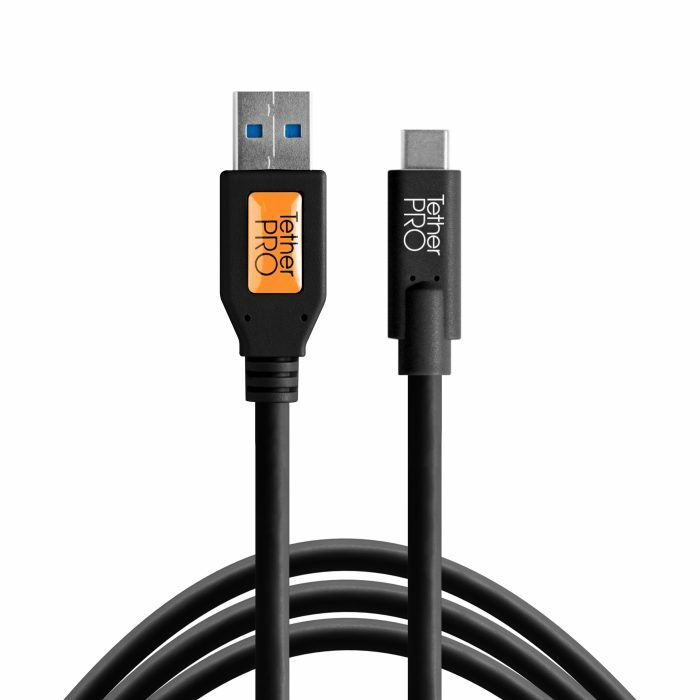 The TetherTools TetherPro 15 foot (46m) SuperSpeed USB 3.0 Male A to Micro B Right Angle Cable is the latest technology available for the fastest and most reliable transfers. 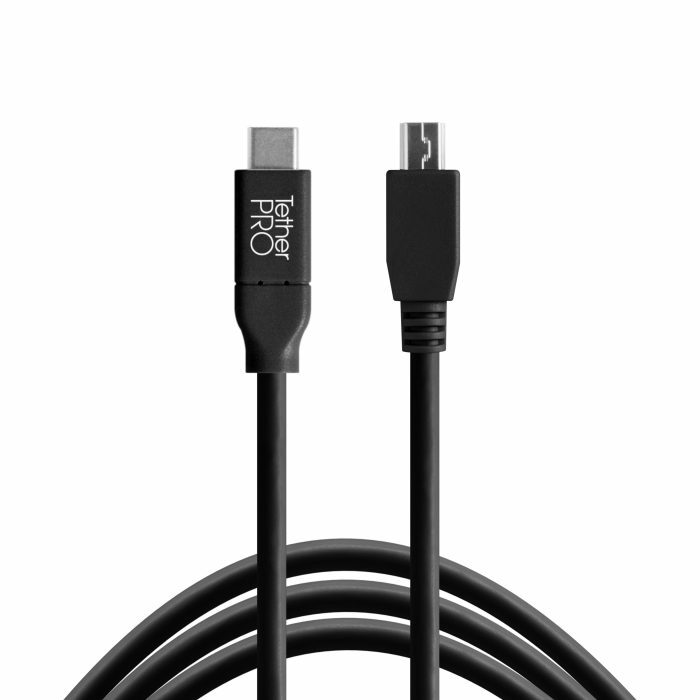 TetherPro USB 3.0 to USB-C, 15' (4.6m) Black Cable for tethering a USB-C camera to a computer with traditional USB A ports.